Any time or Anytime: One Word or Two? I’ve found myself pausing lately when I’m about to write anytime … or should it be any time? Which is it: one word or two? As is sometimes the case with grammar, our choices are not easy or clear. I’ve learned from my online search that most sources say anytime and any time are not necessarily interchangeable; anytime is acceptable in one context, but any time is more often preferred. Anyone may attend the class. Anyone is indefinite; it implies any and all people may attend the class. You may check out any one of the books on the table. Any one is definite; it implies a limit, a specific thing: one book from the selection. Anyone (indefinite) who attends the class may borrow any one (specific) of the books on the table. If anyone (indefinite) wants to ride along, pick any one (specific) of the bikes in the rack. We’ll leave for lunch anytime you choose. My new truck will tackle rough roads anytime, anywhere. Did you call me any time last week? Attendance fell any time a holiday created a conflict. Did you talk with her any time after the accident? I don’t have any time to mow the lawn this weekend. Don’t waste any time trying to influence the outcome. If you find any time to make brownies, please bring them to the picnic. Some online sources claim that the two-word any time is always the safer choice if you’re writing for school, for work, or in any formal context. I predict that we’ll see greater use of the one-word anytime. Life continues to get more casual, from attire, to the informal way we address people, to the way we use language. As our culture evolves, grammar tends to evolve with it. For other confusing words that start with the letter a, check out my A-Word post from July 2015. And please let me know when you have specific questions. Use the comment section below or send me an email anytime . . . at any time you choose! 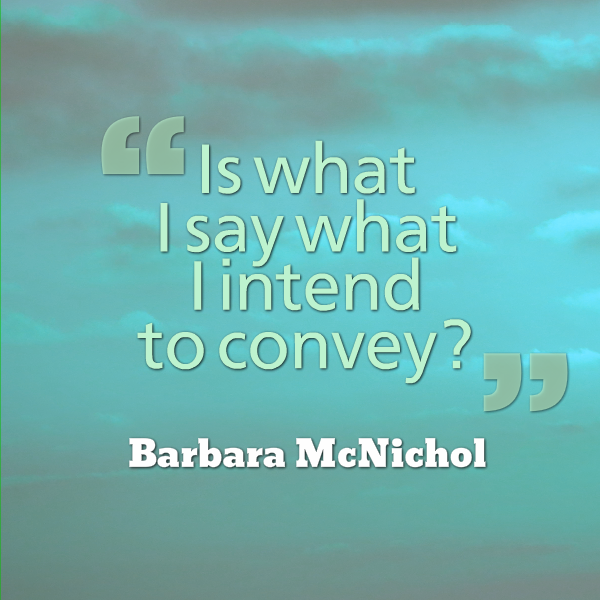 For a three-page list of more examples, request One Word or Two at editor@barbaramcnichol.com. How Do You Format E-Mails Effectively? Recently, I had the privilege of presenting my writing skills workshop to a group of property managers from around the country. My assignment included editing a Pre-Workshop E-mail Writing Sample from the participants ahead of time. In the process of editing these e-mail samples, I struggled with how to format them. Specifically, I needed to put their 300 to 400-word samples on one page yet still make sure they were readable–a challenge in many cases because of tiny type and single spacing. This led to setting guidelines for future e-mail correspondence. In addition, I was challenged because few participants “set the stage” in the first paragraph. That left me (and their readers) guessing what this email addressed. A simple opening sentence that says, for example, “I’m writing you concerning X property in Y state about ____” solves that problem. When you make your e-mail endings crystal clear, you’re more likely to get the response you want. 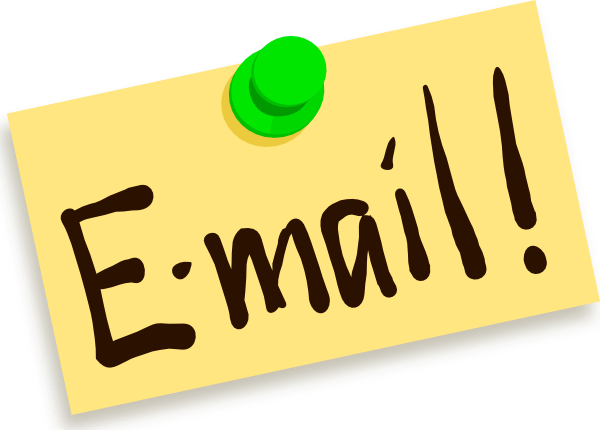 What tips would you suggest to improve formatting and effectiveness of email correspondence? Please share you ideas here. It’s amazing how a well-written letter can change one’s attitude – even the attitudes of a whole group of neighbors! Last fall, a young couple who had moved into our area set out to transform their backyard into a play area for their two young girls. My husband and I, their nearest neighbors, were annoyed to wake up to jack hammers at 6 a.m. The noise went on for hours several days in a row. We complained to board members of our homeowners association and so did others. The young neighbor told the board person who was following up that he’d informed all of his neighbors ahead of time. News to us. Fast forward to this summer. Three days before the work crew was scheduled to complete phase two of the backyard transformation, we received a letter on our gate. I’m guessing at least a dozen other neighbors received the same letter. On July 28th we will be undertaking the construction of a patio that will take approximately 3 days to complete. This will entail the use of a jackhammer and other construction noise in the morning hours starting approximately at 7:30 am. We apologize for any inconvenience that this will cause to your sleep, concentration, and/or relaxation. It is not our intent to cause distress in your daily lives in this quiet neighborhood, but it clearly will. I hope you will accept our advanced apology. The jackhammering happened as noted but, guess what?It didn’t bother us at all. Both my husband and I were working in close proximity and could hear it clearly, but we had no trouble adjusting. Our attitudes toward these neighbors had clearly shifted, too. 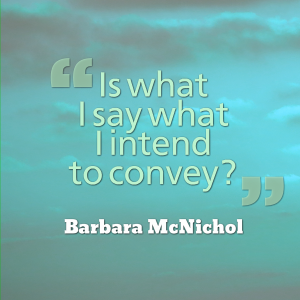 The power of consideration–expressed through clear writing–made all the difference. Thanks, neighbor! Editor’s note: I’m always fascinated by John Forde’s ability to tell a personal story and then make it relevant and practical to his readers: copywriters. This is a timely, engaging, and informative example of that for all of us. Enjoy! A little after 12:30 in the afternoon, a young woman fed her seven-day-old son. They were, in fact, just two days home from the hospital. Like a lot of young mothers, she was just then coming to grips with how much her life had already changed — when it changed again. That was my mother and brother, on the day Kennedy was shot. Where was I? Not even an idea yet. But growing up Irish Catholic… in definitively Democratic Philadelphia… there was no debate: Kennedy, we were all taught, had been a hero. These days, you might not have to look too hard to find people who question that assessment. I’m pretty sure, in fact, a few would love to tear down that version of history. But even they might have to agree, if there was one thing about Kennedy — other than his family money and his weakness for Hollywood starlets — it’s that the guy sure could deliver a great speech. And what is a speech but a format-test on a kind of persuasive sales piece? Kennedy knocked the cover off the ball with his “Ask not…” inaugural address. It’s been called the best inaugural speech ever given. Kennedy did it again with “Ich bin ein Berliner,” delivered to thundering applause in West Berlin. He also famously used words to undo the Cuban missile crisis. Not a shot was fired. And then there’s that time he challenged America to walk on the moon, “because it’s there,” delivered in a speech he gave to the graduating class of Rice University. But, as we close in on the 50th anniversary of Kennedy’s assassination, I’ll bet there a few things you didn’t know. For instance, according to historian Robert Caro, Kennedy wasn’t always so great at the pulpit. Once, goes the story, Kennedy was so nervous about forgetting a speech while he was running for Congress, his sister Eunice stood in front of the stage, mouthing the words to help him remember. That changed with practice on the campaign trail. It also changed when Kennedy started working with his great speechwriter, Ted Sorensen, who became Kennedy’s wingman (and possibly more, though Sorensen always insisted otherwise) on all those Kennedy “moments” we still talk about now. What also made a big difference, according to Sorensen and many others, was that Kennedy and his writing team mastered six powerful secrets rhetorical persuasion — all six of which seem worthy of using in your sales copy writing, too. 6) The Simple, Sensible Secret of Knowing Your Audience. Kennedy’s was the first inaugural speech delivered to a global audience, in real time. And he (and Sorensen) made sure everybody knew it, with no fewer than six lines that directly addressed allies and enemies overseas. Again, this isn’t only for speechwriters… or presidents. These are tricks you can lean on too. Just something to think about, as the airways echo Kennedy’s words on the anniversary of his assassination.